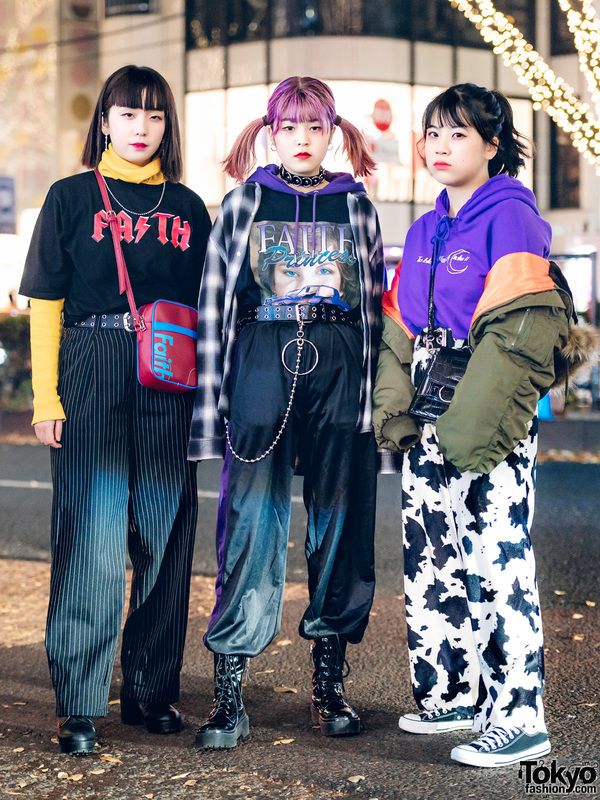 Harajuku Duo in casual streetwear outfits while out on the street one evening. 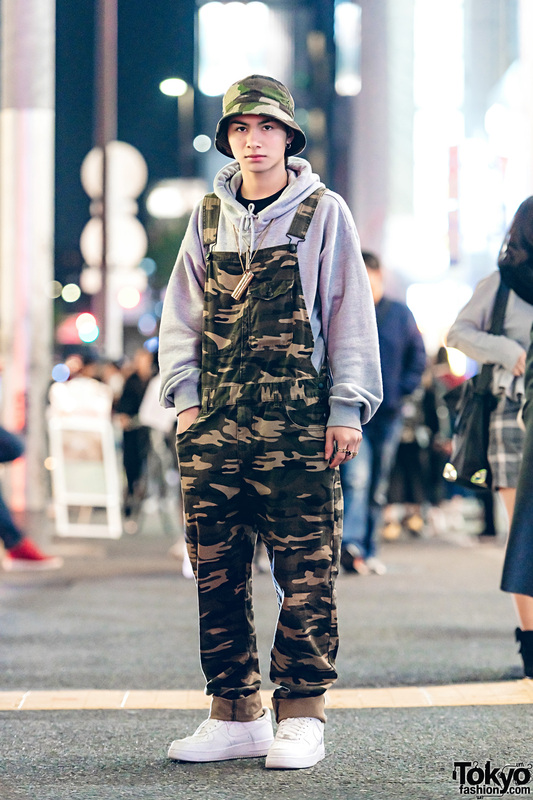 17-year-old student in casual streetwear with camouflage prints while out and about in Harajuku. 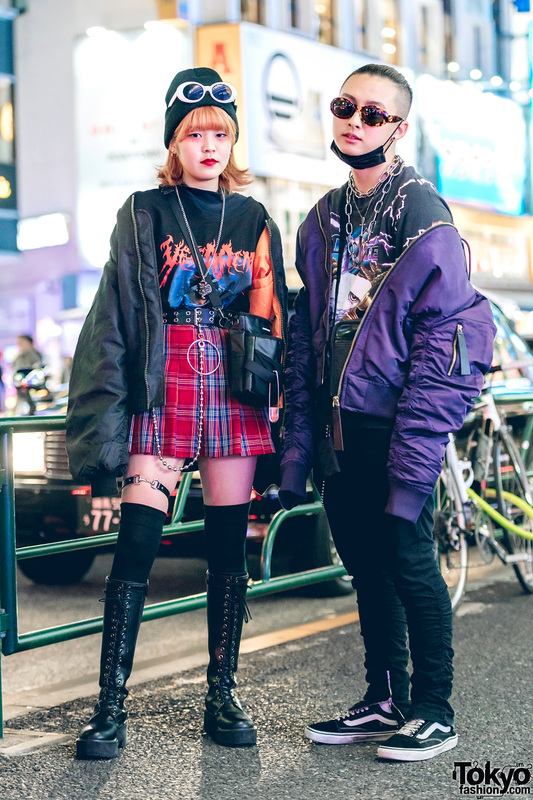 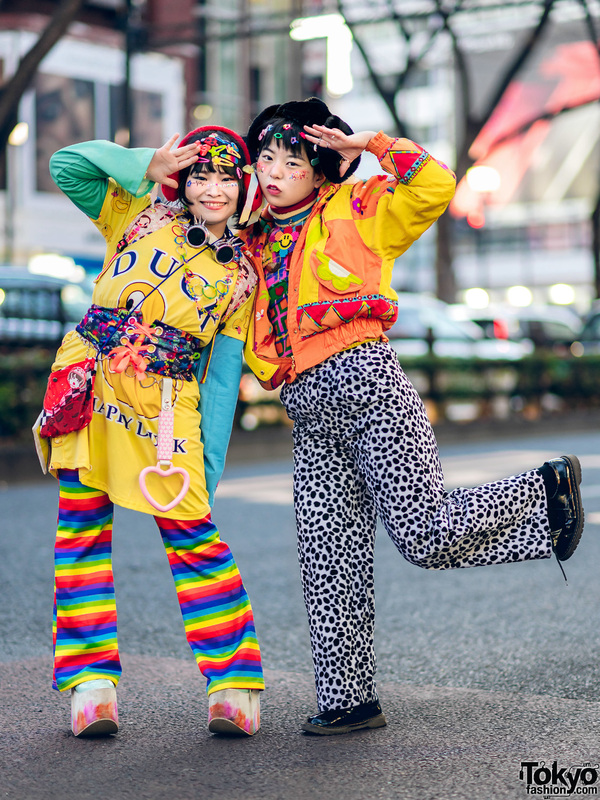 Japanese duo in dark streetwear fashion while taking a stroll along the Harajuku street.